Gadacz, René R.. "Moccasin". The Canadian Encyclopedia, 07 February 2017, Historica Canada. 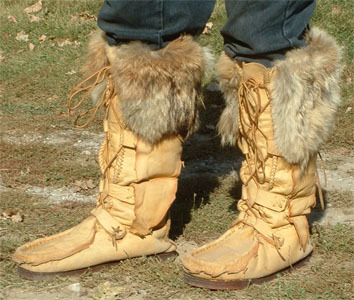 https://www.thecanadianencyclopedia.ca/en/article/moccasin. Accessed 20 April 2019. Moccasins made by Dene artist, Sarah Hardisty. 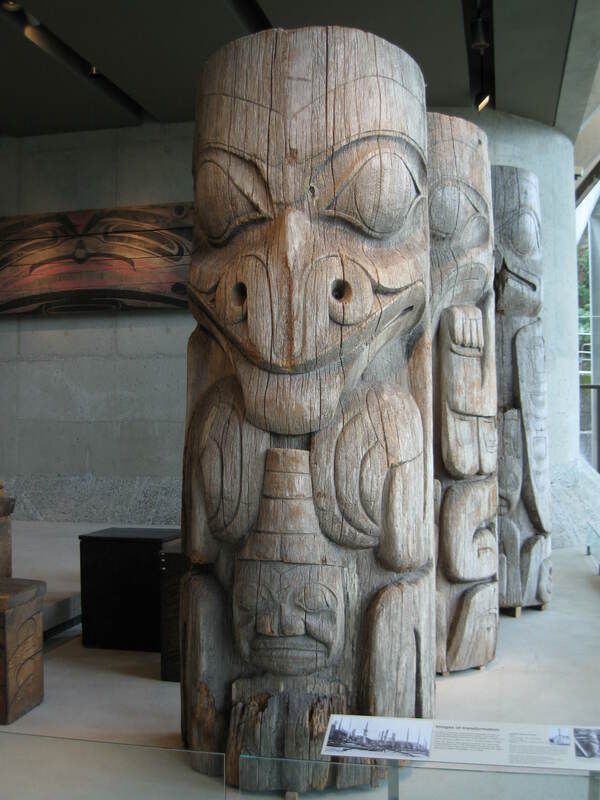 Materials used include moose hide, porcupine quill, beaver hide, wool and thread. 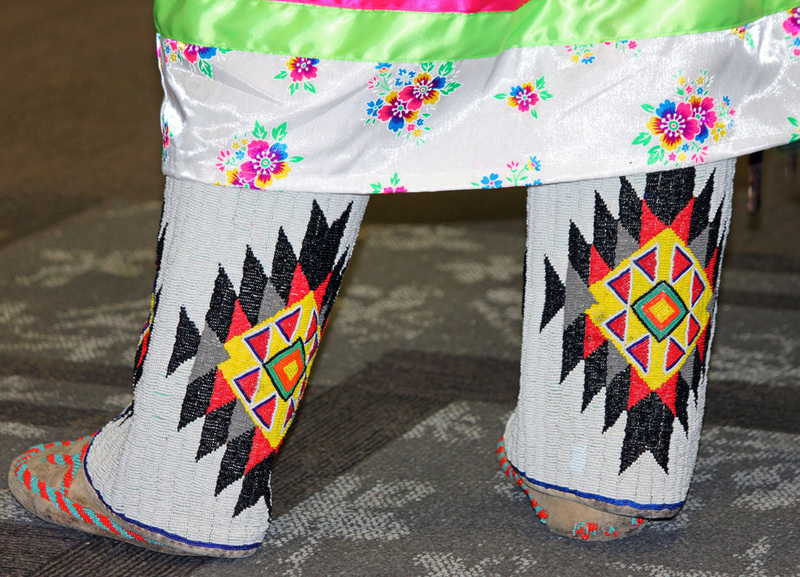 Closeup of beaded moccasins at a powwow festival, 21 March 2015. 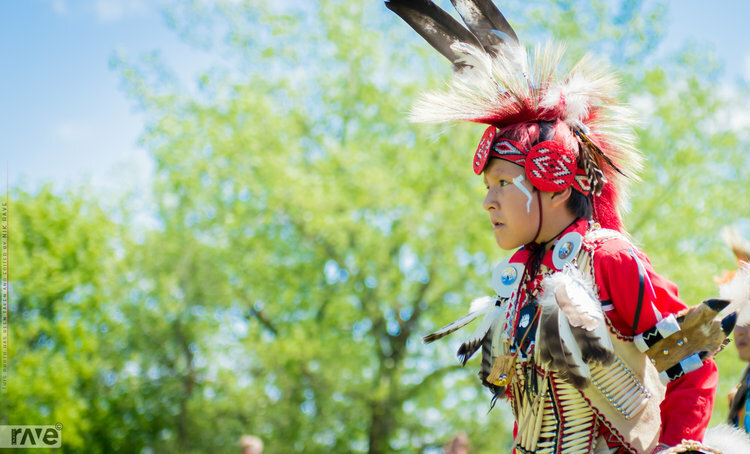 Though they were of two major types, there were as many kinds of moccasins distributed throughout North America as there were Nations who manufactured them. 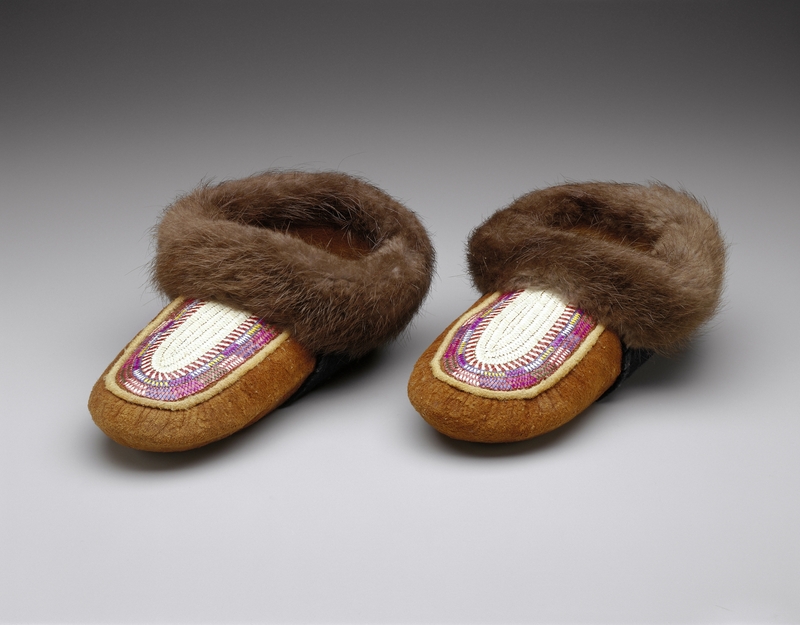 Moccasins found in the Arctic and on the Plains are hard-soled, consisting of a deerskin upper sole sewn to a heavier and stiffer bottom sole. 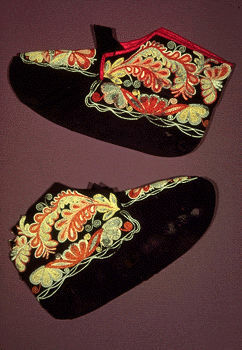 Soft-soled moccasins, made from a single piece of hide, are characteristic of the Subarctic, the northern prairies and northeastern North America. The soft-soled variety have a wider distribution and are more efficient for use with snowshoes.